Two stunning sides, each with a very different flavour, though both are classic ‘Muscle Shoals’ soul tracks, emanating from Quin Ivy’s famous Quinvy Sound Studio in Sheffield, Alabama, USA. “Promise To Myself” is a side which has received huge appreciation for many years, at the most discerning soul music venues, worldwide. Copies are in the hands of the very few, and there simply aren’t enough to go around. 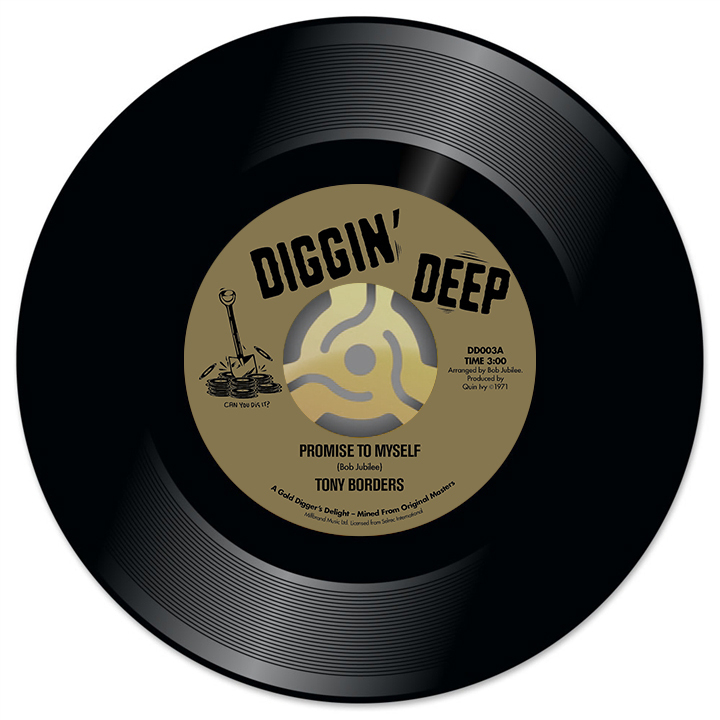 This exclusive Diggin’ Deep issue is its first release in almost 40 years. Out now for a very limited time on vinyl 45. The flipside is an epic tale, long regarded as a true Deep Soul masterpiece. We are honoured to be able to bring you Bill Brandon’s absolutely colossal ‘Rainbow Road’ as the latest addition to our catalogue. It’s an anthemic tale of poverty, fame, and tragedy, penned by Donnie Fritts and Dan Penn and understood to have been written for Arthur Alexander – although Brandon’s is the original released version. We are sure this double sider will be a welcome issue for lovers of the deeper side of soul – and be seen as a fitting tribute to the legendary Sheffield studio, Quinvy. Both sides are now available on a beautifully mastered 45 for the first time in over 40 years.